*Contains no trans fatty acid, bleach, yeast, wheat, soy, milk, egg, salt, sugar, starch, artificial coloring, artificial flavoring or preservatives. Recommended Daily Intake As food supplement take 2 to 4 softgels daily. Storage • Avoid direct sunlight. • Store in a cool dry place. Keep out of reach of children. Precautions If you experience any unusual symptom(s) or if symptom(s) persists, please consult your healthcare professional. This product is manufactured in accordance with GMP standards. Omni DHA is produced in Japan from deep-sea tuna. It is the highest quality source of DHA-rich oil available. 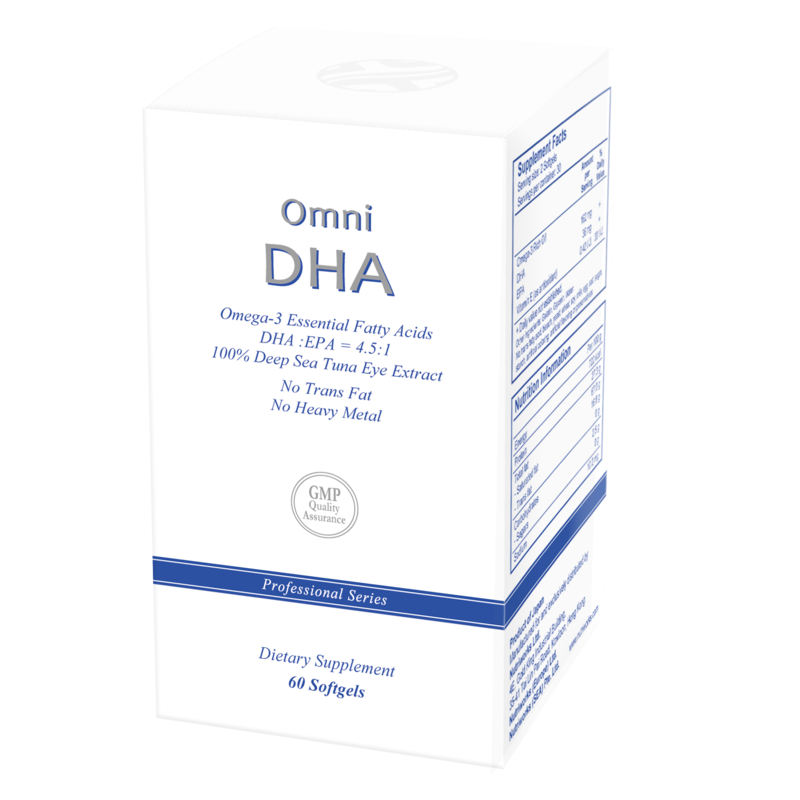 DHA is a crucial building block of the membranes of nerve cells in the retina, brain and red blood cells. Omni DHA is manufactured using a patented low temperature and pressure process that preserves the oil’s natural nutritional value. Omni DHA contains no Trans Fatty Acid (TFA). Independent laboratory testing shows that Omni DHA contains no pesticides, no cancer-causing PCBs, no harmful chemicals or heavy metals. It is one of the highest quality DHAs available. 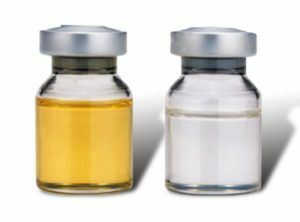 Left: Other brands of fish oil that are yellowish in colour, reflecting its impurities. Right: Omni DHA is almost transparent, reflecting its supreme purity.